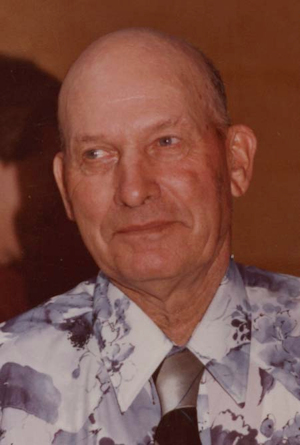 Obituary – Kukuk, Walter Edwin « Perry High School Alumni Association, Inc.
﻿Walter Kukuk, 78, longtime community farmer and dozer contractor, died Thursday, April 16, 1992, at his home, east of Perry. Funeral will be at 2 p.m. Tuesday at Christ Lutheran church with Rev. Myron C. Maltz, pastor, officiating. Burial will be at the Richburg cemetery, east of Perry, under direction of Brown Funeral home. Memorials have been established to benefit the Arthritis Foundation or the Christ Lutheran church fellowship hall. Kukuk was born in Bryan, Texas, April 27, 1913. His parents were Fred and Anna Kukuk. He moved to the Perry community with his family when he was a young boy. He attended Whipple school and was a graduate of Perry high school. 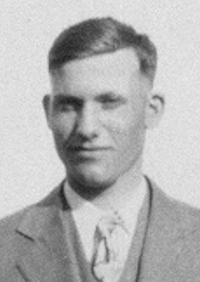 He and the former Ethel Warner were married at Perry, July 8, 1934. He was a farmer and had been self-employed in the dozer business since 1938. He was a member and elder of Christ Lutheran church, was a member of the Land Improvement Contractors of America and had served on the Noble county election board for 19 years. Kukuk was a member of the board of directors of the Farmers Cooperative Exchange for 15 years and served as secretary for 19 years. Among survivors are one daughter, Judy Skidgel, Perry; one son, Jim Kukuk, Perry; four grandchildren; and four sisters, Ann Piel, Josephine Ehler, Alva Leonard and Lela Buffington, all of Perry. He was preceded in death by his parents, wife, five brothers and one sister.